When you need to convert RAF into JPG/JPEG files, all you need is our service and the latest version of Chrome, Firefox or Safari. Just click “Go to App” button or type Raw.pics.io into the address bar of your browser to start converting images. Using most services available on the Internet requires heroic patience during uploading and lots of tolerance to the advertisement along with never-ending signups and profiles. There are lots of desktop utilities, but they all require installation and sometimes bring viruses to your computer. 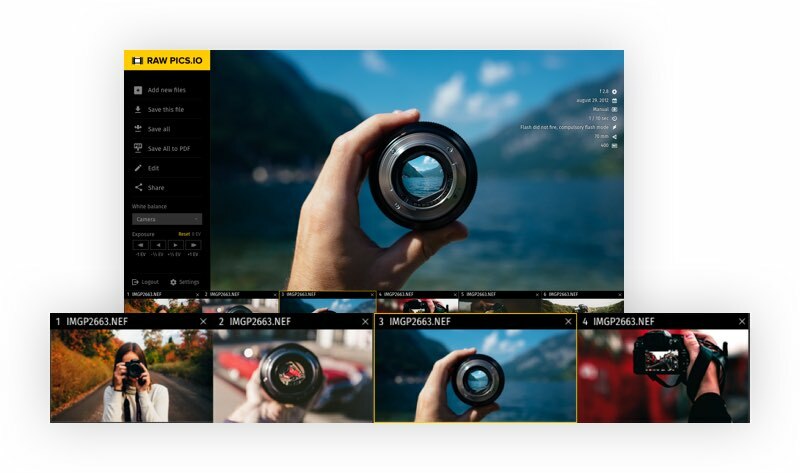 Knowing all the pain, we've decided to make Raw.pics.io experience as easy as possible. Our service allows you to convert raf into jpeg files in a batch. You will get all the converted images on your computer or post them right to your Facebook with a few clicks. Please make sure you're using the latest version of your browser to access this functionality. 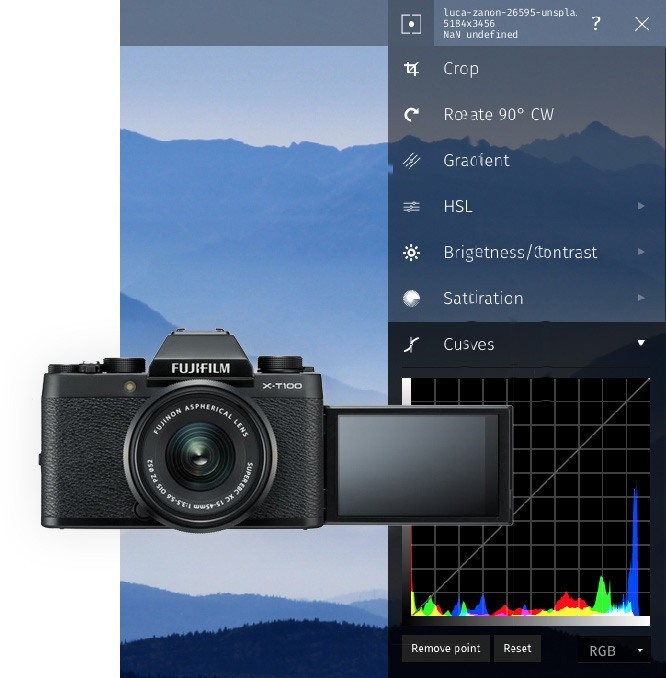 We've checked over 25 Fujifilm cameras to make sure that our converter can convert fuji raw files. So you need nothing else but our service and a modern internet browser to convert your raf files. 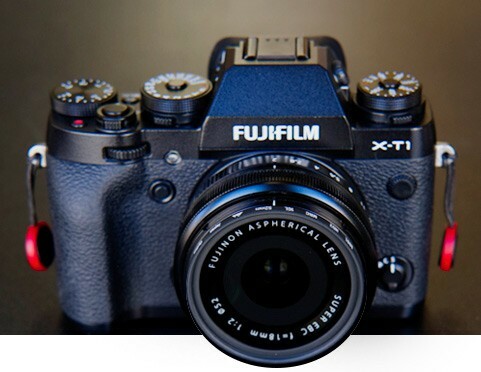 If you find that we can't convert Fuji RAF into JPG/JPEG, please submit this issue to our support email. A file with a RAF file extension is an uncompressed RAW photograph captured with a Fuji digital camera. It contains “raw” unprocessed image data and may also include a JPG version of the same image within the file. How to open and view a RAF file? 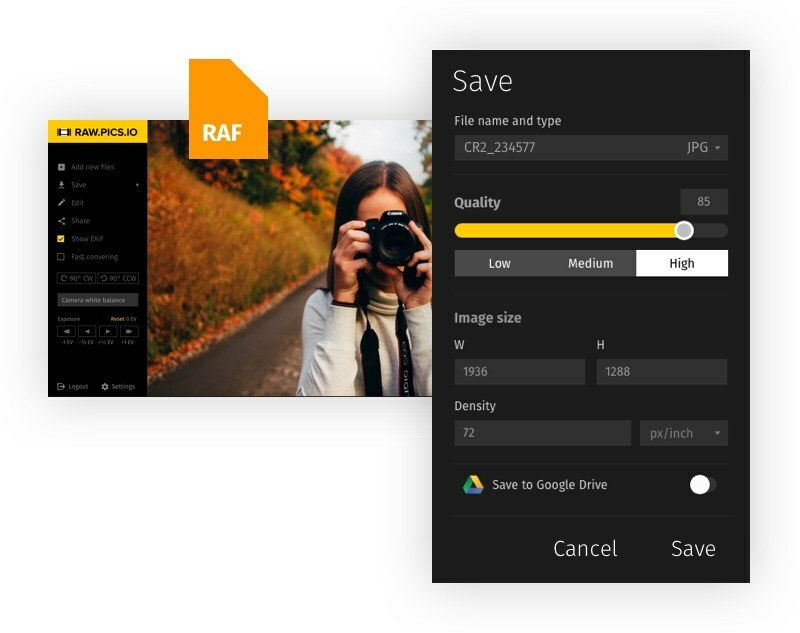 RAF belongs to a family of RAW file formats, which means that it’s a specific file format that cannot be easily opened on your desktop computer or mobile device, like JPEG or PNG. To open and resize a RAF file, you will have to have some special software installed on your computer, such as Able RAWer, Adobe Photoshop, XnView, but it surely takes time to install these programs and they don’t usually come cheap. 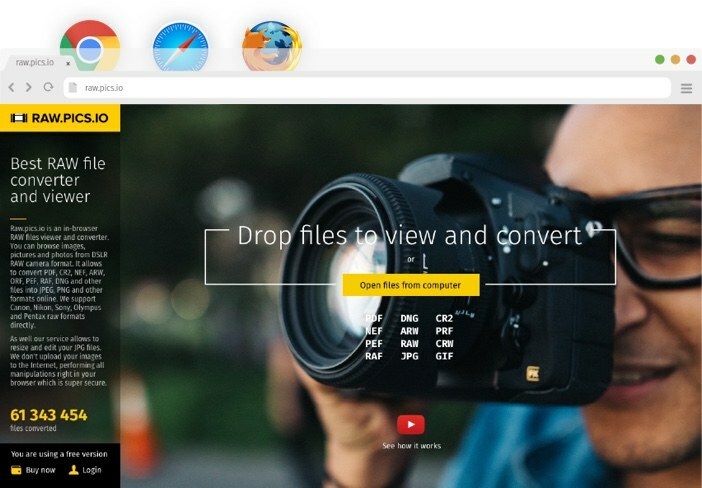 A faster and more practical way would be to use a free online converter raw.pics.io. You don’t need to register or install it on your device. 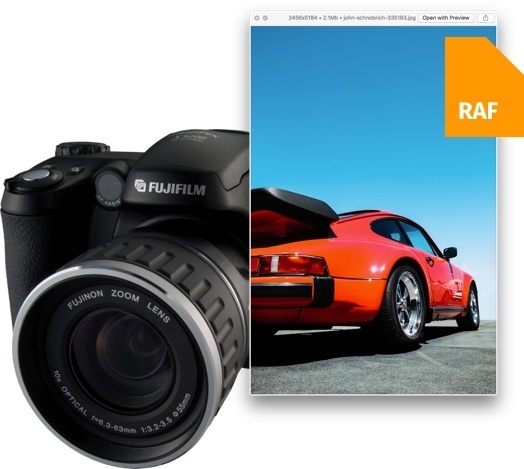 You can open, resize, edit, and convert your RAF photos right in the browser in a few clicks. Saving images in RAF format has a number of important advantages. Like all other RAW formats, it’s a lossless way of saving photos. It means that no information is lost when you shoot photos in RAF format - all the information is saved the way it was captured by the camera sensor. For all these advantages, you also have to bear in mind that you can’t simply open and view RAF photos on any device. You either need a special software installed on your computer or use a free online viewer and converter raw.pics.io. Another limitation is the size of the RAF files. Due to lossless approach to saving images, these photos are usually much larger than similar JPEG files. You have to remember that when you want to send them via email. 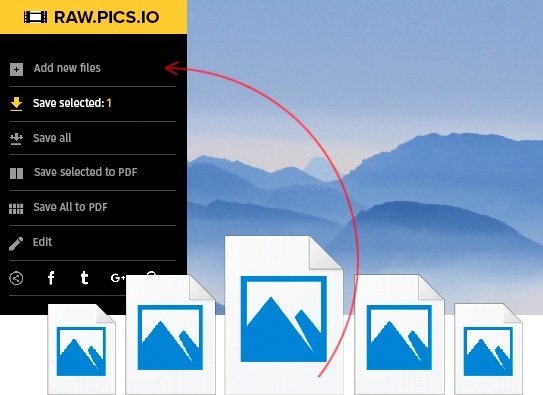 The service http://raw.pics.io allows to convert RAF to JPG. This is a short tutorial showing its capabilities: batch conversion, resizing, raw decoding.